We present MGPU, a C++ programming library targeted at single-node multi-GPU systems. 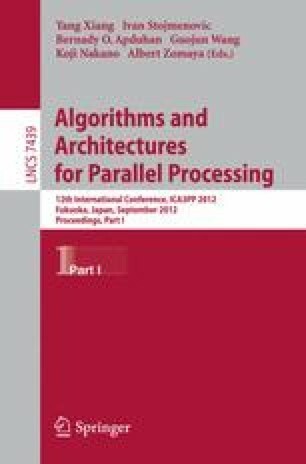 Such systems combine disproportionate floating point performance with high data locality and are thus well suited to implement real-time algorithms. We describe the library design, programming interface and implementation details in light of this specific problem domain. The core concepts of this work are a novel kind of container abstraction and MPI-like communication methods for intra-system communication. We further demonstrate how MGPU is used as a framework for porting existing GPU libraries to multi-device architectures. Putting our library to the test, we accelerate an iterative non-linear image reconstruction algorithm for real-time magnetic resonance imaging using multiple GPUs. We achieve a speed-up of about 1.7 using 2 GPUs and reach a final speed-up of 2.1 with 4 GPUs. These promising results lead us to conclude that multi-GPU systems are a viable solution for real-time MRI reconstruction as well as signal-processing applications in general.